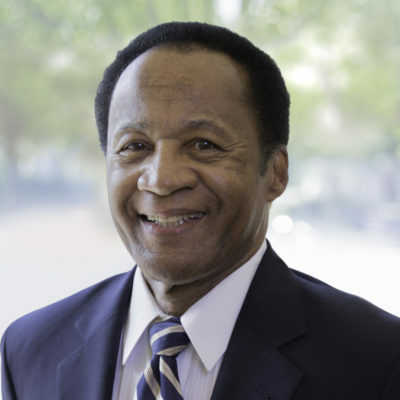 Maurice Moore is President of Capacity Development Associates, LLC, a company he founded in 2010. Prior to establishing Capacity Development Associates, Mr. Moore worked for 17 years as a program officer for the Annie E. Casey Foundation, which is based in Baltimore, Maryland. Mr. Moore has more than 30 years’ experience in human services, primarily in the area of juvenile and criminal justice. His experience includes work in some of the country’s toughest cities, including Chicago, IL; Newark, NJ; Wilmington, DE; Milwaukee, WI; Atlanta, GA and Baltimore, MD. He has been a social worker with the Illinois Department of Public Assistance, manager of an Illinois Department of Corrections serious juvenile offender program, director of a National Council on Crime and Delinquency violent juvenile offender project; deputy director of the State of Delaware’s juvenile justice agency; and a consultant to the U.S Department of Justice (Office of Juvenile Justice and Delinquency Prevention). His experience with the justice system also includes a two year stint as budget analyst for the Illinois Budget Bureau, where he became knowledgeable about operations in all seven of the Department of Corrections maximum security facilities for adult felons, the six secure facilities for juvenile offenders, and the many alternative programs located around the state. His responsibilities included annual recommendations to the Governor on legislative and budgetary issues. During Mr. Moore’s years at the Casey Foundation, he had responsibility for grant-making, technical assistance, and advocacy in the areas of juvenile justice and responsible fatherhood. In this capacity, he worked closely with state and local policy-makers in Iowa, Colorado, Georgia, Wisconsin, Rhode Island, Illinois, Oregon, California and Louisiana. In addition to the policy work in the areas of juvenile justice, child welfare, early childhood, and child support, Mr. Moore has advised human service practitioners, researchers, and others on methods of achieving effective outcomes for residents of low-income communities throughout the country. Mr. Moore holds a Bachelor’s Degree in Business Administration from Southern Illinois University, and a Master’s Degree in Sociology from Eastern Illinois University.